and Save 40% on Evil Energy! Get the most healthy energy drink on the market, and see how this energy boost supplement will give you the healthy energy you're looking for, and save money. Communities on YouTube are joining the Evil Energy Team and are getting custom Coupon Codes specific to them. So, subscribe to a community out there which has a relationship with Evil Energy and discover what Coupon Code will save you $$$ on Evil Energy. 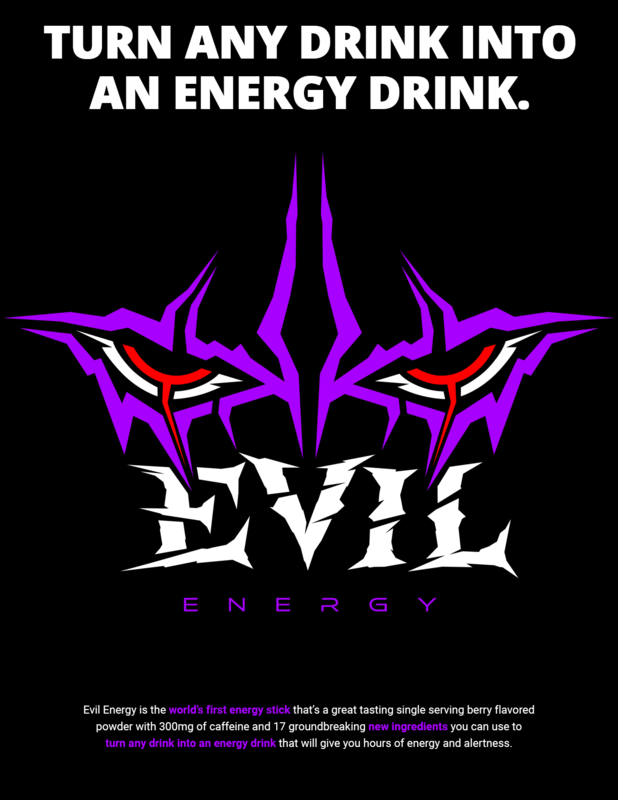 Have your Community Representative contact jason@evilenergy.com to start your partnership today! Evil Energy has exploded onto the scene, bringing a brand new high quality and highly versatile energy drink to Americans. It is by far the best supplement for energy on the market. It's portable, able to be taken onto an airplane, and can be mixed with any drink to make a custom energy drink of your choosing. 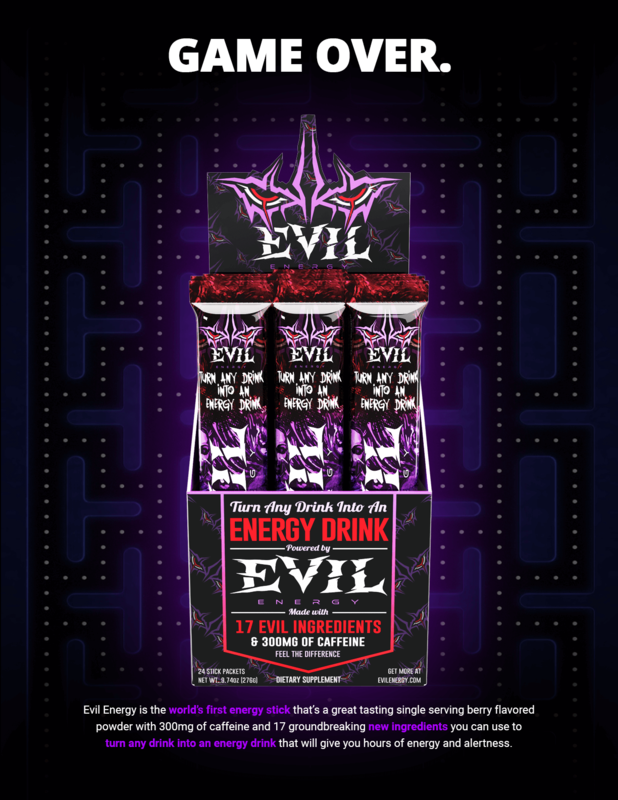 Evil Energy is the energy boost supplement of the century, and will be the most healthy energy drink you can find for years to come. Each an every person who has tried it is now a member of the #NLS faction, and we are spreading the word one happy customer at a time. We are tirelessly researching and trying new recipes with Evil Energy each and every week. We will be working on all kinds of recipes for all kinds of occasions, so keep checking back with us to see if there are any new recipes available for you to enjoy. See how we prove that Evil Energy has the best supplements for pre workout, and is the best supplement for energy that you're ever going to need. Get the healthy energy you need from an energy boost supplement that will never let you down. Be sure to subscribe to our YouTube channel, and don't forget to Like and Share all of our recipes that you get to enjoy! Evil Energy has arrived onto the scene to allow each and every one of you to break the mold when it comes to how you energize yourself. Each and every other energy drink is built for one purpose, so you have to buy different drinks for different needs. All of that ends with Evil Energy, as it can be customized for all of your needs and amplify any drink into the Next Level Stimulation #NLS Zone. You can use Evil Energy for your daily energy booster, mixing it with water and sipping it from home or at work. However, you can also add Evil Energy to another energy drink or pre-workout to take it to Next Level Stimulation #NLS and tailor the ratio of the blend according to what you prefer. Whether you are trying to add some level of stimulation to a beverage on hand, or you are looking at a custom recipe that will add increased stimulation to another one of your favorite daily energy beverages, the possibilities are endless. It's time for you to get healthy energy from the best energy boost supplement on the market. 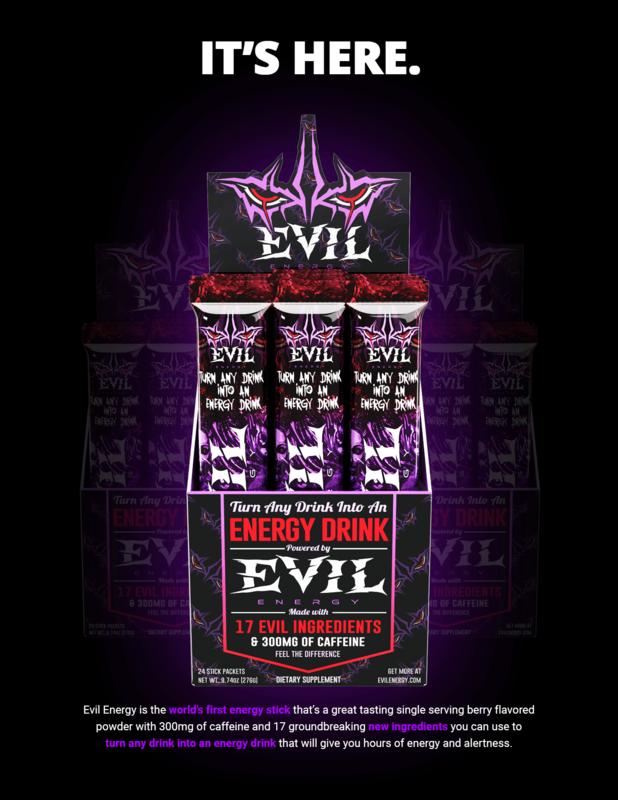 Evil Energy is the energy drink of the future, and you will see more recipes that you will be able to enjoy this amazing product each and every week. Joining the #NLS (Next Level Stimulation) Revolution involves learning how Evil Energy can help you to achieve #NLS from your favorite drinks of choice. Click on our Evil Energy Recipes button to find the customized recipe built for you!